The muscle up is the prestige movement in CrossFit. Conquering this exercise can be a frustrating experience. While some get it in the first try, it can take months for others. Here is a short FAQ that brings some light in the dark. Q1: Ring or bar muscle up - which one is easier? If you succeed more likely in the ring or bar muscle up can't be answers. Often, the bar muscle up is the given scale version in WOD's that contain the ring mu, so you might conclude it is the "easier" one. I disagree. The ring muscle up asks for a great shoulder stability. Compare a ring dip with a matador dip - the difference is huge. But also, since the rings are movable, you can pull them in a position that reduces the strength component by a lot. The bar muscle on the other side requires a lot of pulling and pushing strength, with no way to hide. Q2: Do I need the false grip for the ring muscle up? Another question I have to answer with a small detour. The false grip allows to pull and push (for the ring pull up and -dip) at the same time in a quite powerful leverage. Therefore, it is helpful for the muscle up, but as long as your arm strength and your hip explosion is sufficient, you can handle the muscle up without. The false grip is painful, at least awkward, hard to maintain for high reps and difficult to set up from a free hang initially. Especially heavy athletes can struggle with it. So it is an extra homework to get comfortable with it and learn the kip while using. Worth the effort? You decide. For the strict muscle up, the false grip is necessary anyway. Q3: I can't manage to get into the dip at the ring muscle up - what am I doing wrong? There are a few possibilities: a) You don't pull the rings underneath your chest where there need to be to start the dip. This could be caused by an incomplete kip (your are not horizontal in the air) or a leg of pulling strength. b) You are not fast enough in the transition. Thin about a really quick sit up. c) Your body is lacking tension. Keep your core and lats tight. Q4: Which are the (strict) gymnastic standards I need to fulfill before muscle up training is anyhow promising? for some than others depending on our background athletics before we first stepped foot in a CrossFit gym. on. It's just like any other movement I haven't gotten. I WILL achieve a muscle-up, but just haven't yet." to WORK. 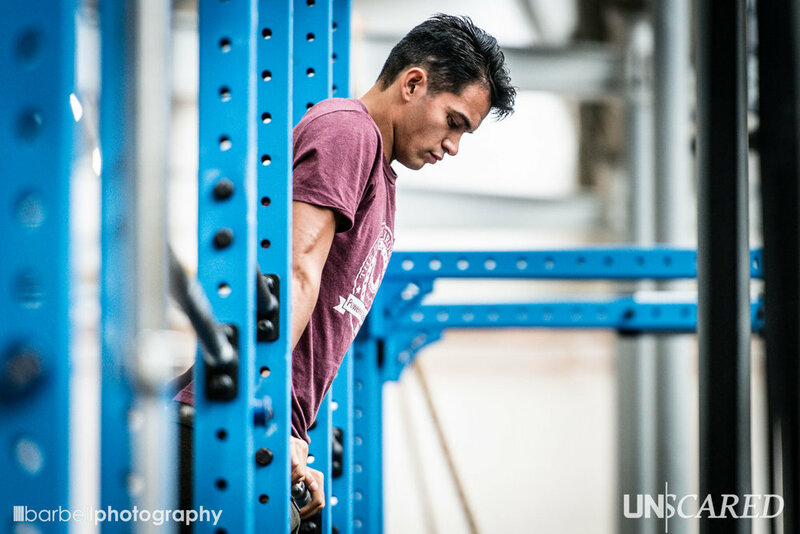 Take that muscle-up off the pedestal and go attack the work that will get you there."